With a museum dedicated entirely to wine – the region’s most well-known export – opening in 2016, Bordeaux has restated its claim to the title of world capital of viticulture (and attracted a large number of oenophiles in the process). The Bordeaux Cycling for Softies tour offers curious visitors the chance to sample the area’s famous cuisine and wine, all while peddling through some of France’s most beautiful scenery and picturesque villages. The tour starts in Saint Macaire, an ancient river port just south of the city of Bordeaux. 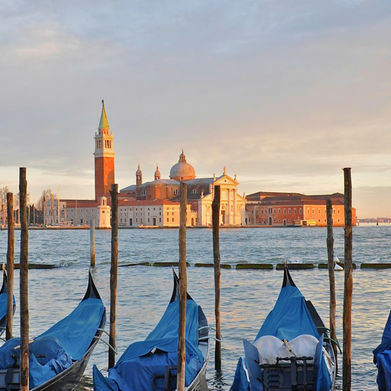 Take a stroll along the banks of the Garonne or wander the medieval streets of the old town. On the second day, take the canal path to Castets-en-Dorthe. En route, you’ll pass through La Reole, a classic medieval French town full of timber and stone buildings ¬– France’s answer to Tudor architecture. Walk around the old town's Rue Darblade Denis and take your pick of the many restaurants for lunch. On day three, you’ll leave Saint Macaire for Duras. Your journey will take you passed Gironde-sur-Dropt before going through a trail flanked by fortified mills and arriving at Monsegur, a classic French Bastide town. Founded by Eleanor of Aquitaine in 1265, most of the town is built in the Bastide style, with footpaths that run along arched colonnades under the town’s buildings. Head to Les Acacias for lunch – a typical ‘café ouvrier’ (or worker’s café) serving unpretentious, traditional French food accompanied by wine served in jugs. After refuelling, it's only another ten kilometres to Duras, your base for the next day. By your fourth day, you’ll have earned a rest! Fortunately, the area around Duras is rich in history, having been a hotly contested battlefield during the Hundred Years’ War. Cycle the short 20-minute journey east from Duras to Eymet, famous for its well-preserved Bastide. Spend an afternoon exploring before heading to Café des Arts in the town centre. Day six is one of the highlights of the trip. You’ll spend it making your way to St Foy Le Grande and the surrounding area. 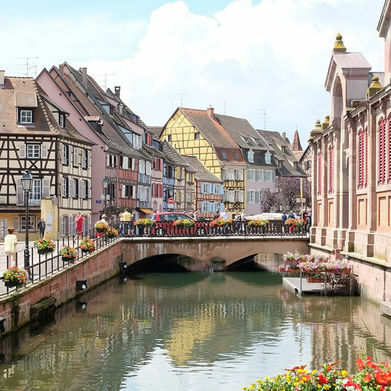 After cycling along a gently meandering stream, you’ll find no shortage of dining options in this French market town. You’re spoilt for choice in the centre, but if you want to go a little further, the Cot Bastide on the Rue de l’Abbatoir, just outside the old town is worth the journey.